If you have read on this blog to any depth at all, you know that i am a champion of 1970s films. This whole blog started as a project to catalogue the films I saw in the summers of the 1970s. There is a sense of danger and grittiness to films from that era. They don’t all end well, there are some very cynical views of life shown, and characters are often flawed in ways that real people are. They have their good points but the imperfections are substantial. John Huston as a director is a solid choice for films featuring these kinds of characters. “The Treasure of the Sierra Madre” and “Beat the Devil”” feel like they were warm up exercises for a movie like this. While it may not be a Forgotten Film for old movie geeks like me, “Fat City” is a movie that probably no one in any of my classes has ever heard of much less seen. The subject matter and the style of the director would be too grim for most cinema goers these days. Heck, I’m not even sure it could be made as an independent film in the current marketplace. The closest comparison to a contemporary movie I can think of is “The Wrestler”. Both feature characters that are flawed and struggling to come to terms with their weaknesses. If you thought the end of “The Wrestler” was tough, get ready to be punched in the gut because this movie is even more somber. “Fat City” is a film of it’s day and it belongs in the 1970s. Susan Tyrell was the actress nominated for one of the least glamorous characters in movies this side of Aileen Wuornos. Oma is a woman too used up and soaking in alcohol to be of much use to anyone. She sometimes seems like she has a heart but she is completely self centered and simply can’t do anything to help the main character Tully with his own demons. She was one of the things I most remembered about seeing the film when it first came out and the last time I saw it, sometime in the early 1980s. Her subsequent career never seemed to give her a similar opportunity to shine and I recall that she passed away three or four years ago. The greatest performance in the film is the lead and I am flabbergasted that Stacy Keach was not nominated for his role as the slightly past his expiration date boxer Billy Tully. From the dialogue free first five minutes of the film, Keach is magnetic. He feels so genuine as the abandoned former prodigy, embittered by bad luck in the ring and a wife who he loved deeply but who left him. He is coping with alcohol and working some of the toughest jobs there are to get by. The film is set in Stockton, California, an agricultural center and a city with a hard as flint personality. The actor seems to fit perfectly in this setting and as he starts to consider getting back into boxing, we have so much sympathy for him because he comes across as a guy trying to cope but in over his depth. The boxing sequences are fine but it is his scenes with Tyrell and a very young Jeff Bridges that gives the performance it’s spark. There is a terrific scene where Billy returns to the gym where his former manager is training a new crop of prospects. We know that they stopped working together on bad terms and that the last time the down on his luck Tully saw his former coach, he borrowed twenty bucks from him. Unprompted, Tully acts as if the reason he is stopping by is to make good on that loan. We know how hard it was for him to earn that twenty bucks and how valuable it is to him, but he wants to pass it off as a trifling, to get back in with the crew. Keach gives a warm half smile and a shrug of his shoulders as a way of conveying all of this and it is a great moment. The boxing milieu of this era may be long gone but it is shown here in all of it’s difficult and hopeful sides. This is a life that seems truly hard, but it has the reward of accomplishment. Ernie Munger, the character played by Bridges is supposed to be an up and comer, discovered by Tully and groomed by his former manager, Ernie is himself something of a mess. He has a lot of potential but some of the same perils that Billy faced. It looks for a while like this movie will be about the two different trajectories these two are on. Instead, it is much more of a character and tone piece. Plot matters less than the feeling of sadness and hope that floats over all the characters. Despite the bad things that happen to each, there ends up being more compassion in this brutal existence than we have much right to expect. A cup of coffee, silently shared, holds the two boxers in each others orbt, long enough to see that although the battle is lost the fight goes on. Stacy Keach received a very nice ovation as the guest before the screening. Eddie Muller, the noir expert and writer was the interviewer and he brought a nice sense of involvement to the event since the author of the novel the film was based on was a professional acquaintance, and his father wrote for the newspaper about fighters just like the ones we see here in the film. 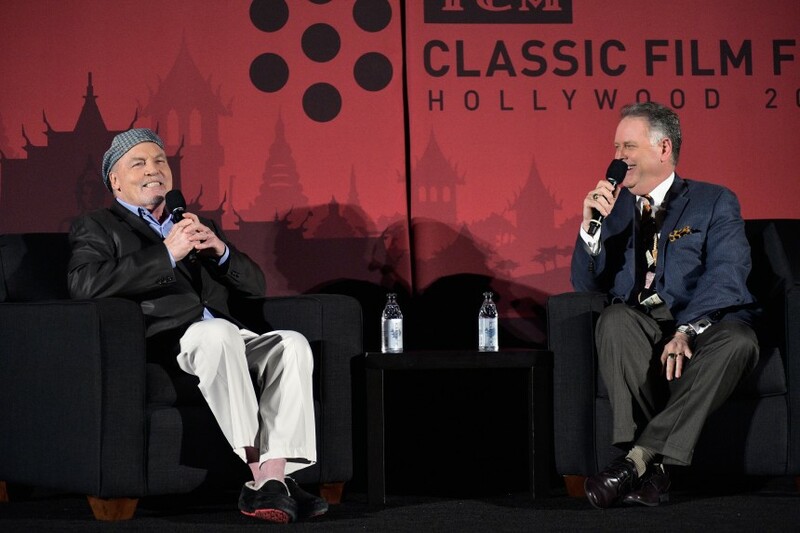 Keach was generous with his stories and clearly proud that the film has a great reputation at least among the cinema fans. He was probably already gone from the venue when the film finished which is too bad because the audience response was twice as enthusiastic. There was a literal roar of approval at the closing credits, which validates every positive thing you could say about this movie. This was one of my top three moments from the Festival. An unsentimental masterpiece by John Huston and actor Stacy Keach.